Microsoft has announced a new Xbox One S 1TB Bundled with Anthem Legion of Dawn edition. 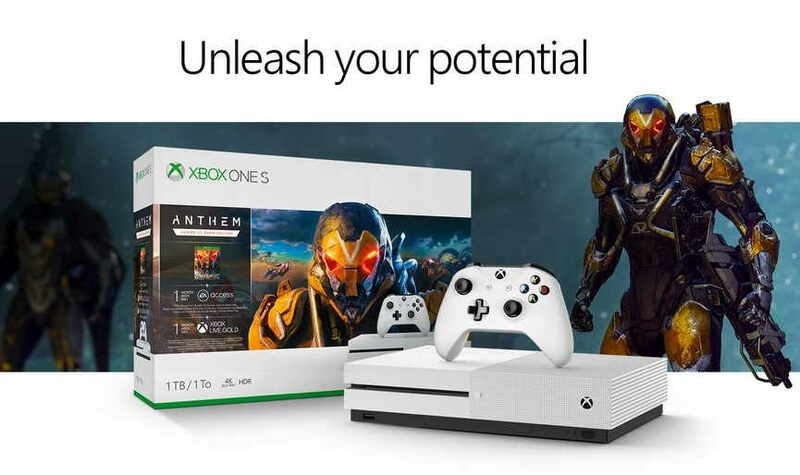 The new Anthem Legion of Dawn Xbox One S 1TB Bundle will be available on February 15 form Microsoft store. Microsoft made the announcement via its official Twitter account, however, it didn’t reveal the price of the bundle. Users buying the Anthem Legion of Dawn Xbox One S 1TB Bundle will get an Xbox One S 1TB console, 1 Xbox Wireless controller, 1 Anthem Legion of Dawn Edition included in the pack. The bundle also includes one month of free EA Access, the trial of Xbox Game Pass and one month of Xbox Live Gold. ANTHEM, the Bioware’s upcoming Action role-playing game will be released on February 22nd, 2019 for PS4, Xbox One, and PC. To get the full details on Release Date, Editions, Pre-Order and Pricing you can simply head over to our previous post here.